Our favorite time of the year is finally here! Bring on all the sun, sand, and surf our hearts can handle! But despite how much we love summer, we know it can wreak havoc on our hair, skin, lips, and overall look. To prevent summer beauty burnout (and some serious damage to yourself), here are 7 ways to switch up your beauty routine this season! Make SPF your BFF. We mean business with this one – if there is one beauty step you should absolutely never, ever skip, it’s applying sunscreen. That big bright ball in the sky can do incredible damage and age you prematurely. Because no one wants that, we recommend a minimum of SPF 30 from dawn until dusk, even on a cloudy day! 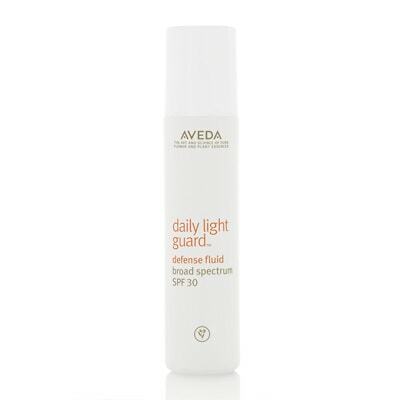 We’re big fans of the AVEDA daily light guard. And don’t forget to reapply after getting out of the water! 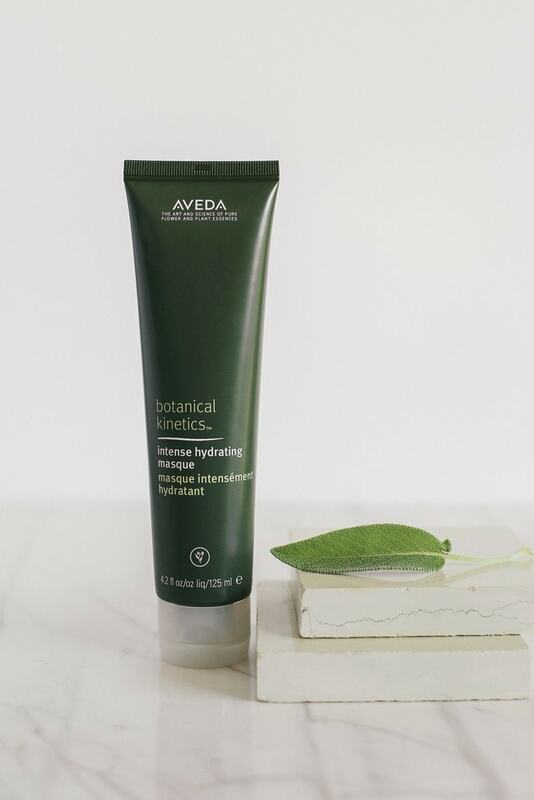 If you don’t heed our advice and the sun gets the best of you, try the AVEDA intense hydrating masque. It delivers an surge of hydration, cools the skin, and provides relief from dryness and exposure to the elements. Your lips are SUPER sensitive and can get sunburned quickly. Keep that pucker in tip-top kissable shape by using a lip protectant all.day.long. 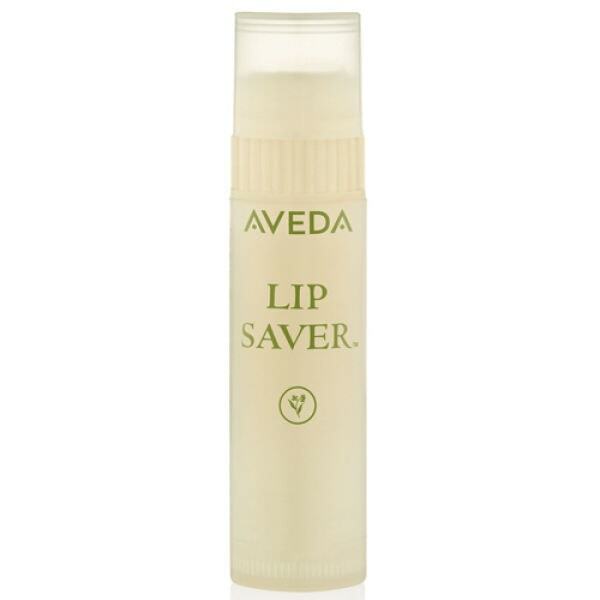 The AVEDA lip saver is like a little life boat for your pout. Apply liberally and allow the cinnamon leaf, clove, and anise oils to do their thing. Swipe it on again before going out into the sun for extra protection from those harmful rays! P.S. To get through all those poolside cocktails, al fresco glasses of rose, and backyard beer nights, reread these make-it-last-all-day-long lipstick tricks from the La Pomponnee makeup artists! Sounds counterintuitive, right? Trust us on this one. 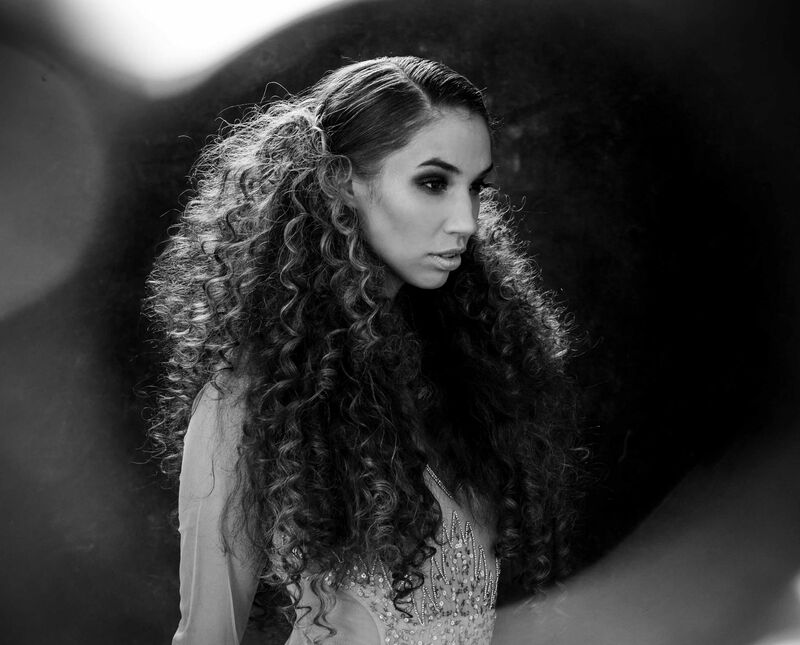 Wetting your hair with clean water and using conditioner BEFORE hitting the pool will save your locks. The chlorine won’t be able to absorb into the hair’s cuticle, keeping it from turning green. When you get out of the water, use a wide-tooth comb (not a brush!) to remove the tangles. If you’re going to stay out in the sun, spray on AVEDA’s sun care protective hair veil for an invisible screen of protection from UV rays! And Remove the Gunk AFTER! After every pool or beach day, wash your hair with a detoxifying shampoo. 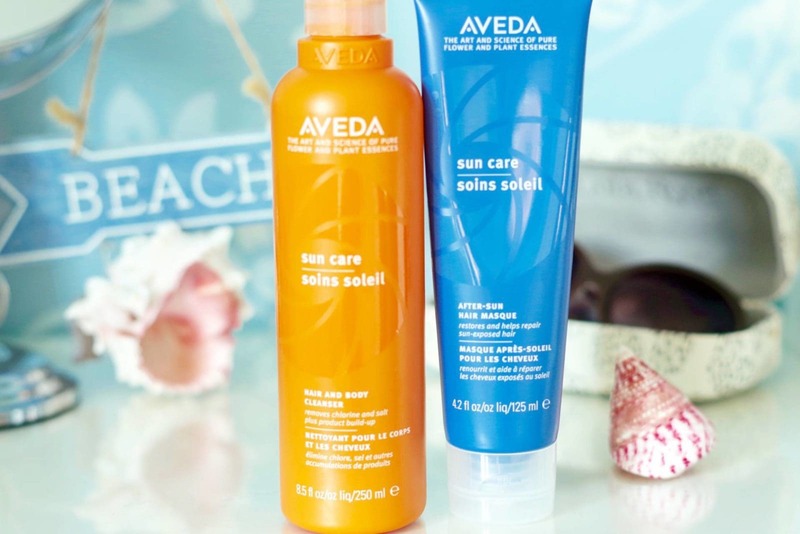 AVEDA’s sun care hair and body cleanser gently removes chlorine, sand, and salt from the hair and skin and works as a head-to-toe cleanser. 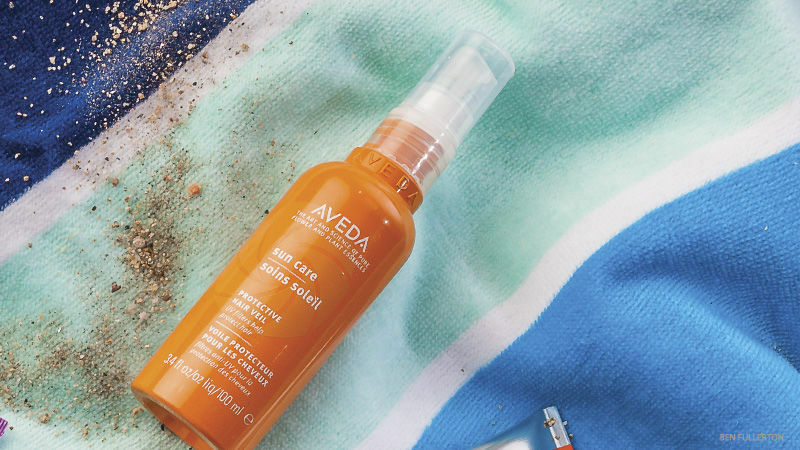 Follow it up with the AVEDA sun care after-sun hair masque on your locks from roots to ends, leaving in for up to 5 minutes for a head of summer-proof hair. Summer means sweat and sweat means breakouts. If you aren’t showering before bed, all of the oil and grease from your skin seeps into your pillowcase and sheets at night. This can lead to breakouts for both teens and adults alike! Always – and we mean ALWAYS – wash your face before bed, even if you don’t wear makeup. Then, throw your bed linens in the washer once a week to help keep pesky breakouts at bay. No one likes hair sticking to their face or the back of their neck during the hot summer months. Keep yourself nice and cool by adding a braid to your look. This will keep the hair off your skin while adding a youthful, whimsical twist to your everyday style. 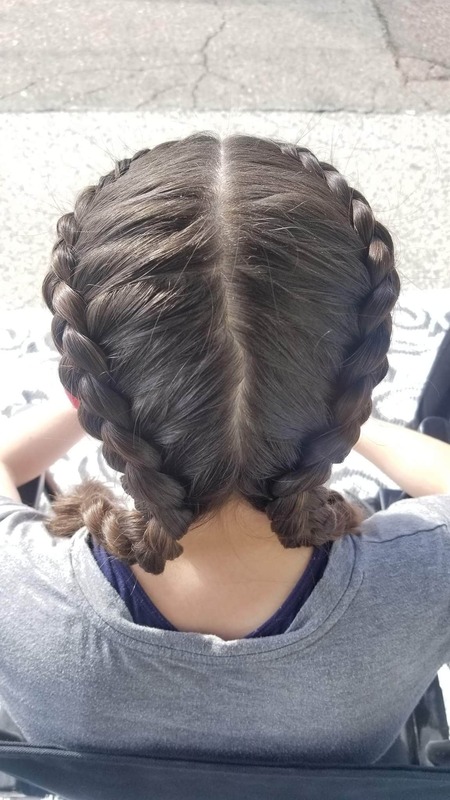 French, fishtail, or a good ol’ fashioned plait, whichever one you choose, it will help you beat the heat! We’re not talking the outdoorsy, sleeping-bag-in-the-woods kind of summer camp. We’re talking a learn-organic-skin-care and look-your-best kind of camp! 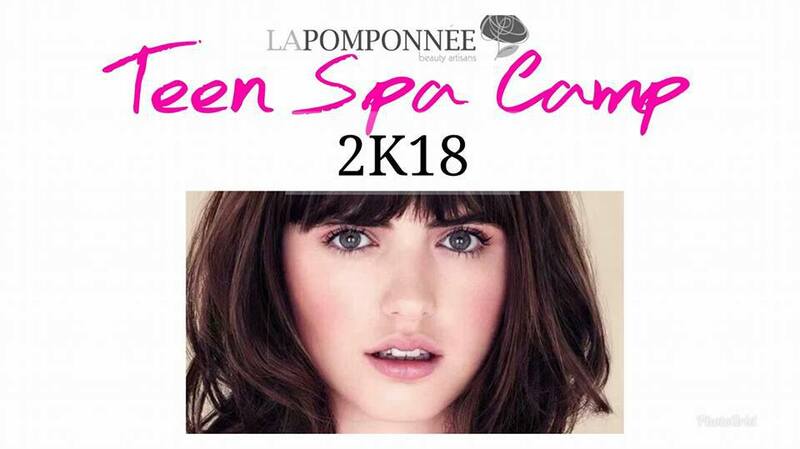 La Pomponnee is so thrilled to announce the inaugural Teen SPA Camp 2K18! For four consecutive Mondays in July, we’ll be teaching teens ages 12 – 15 all about healthy skin, hair care, makeup tips, and other wellness topics. 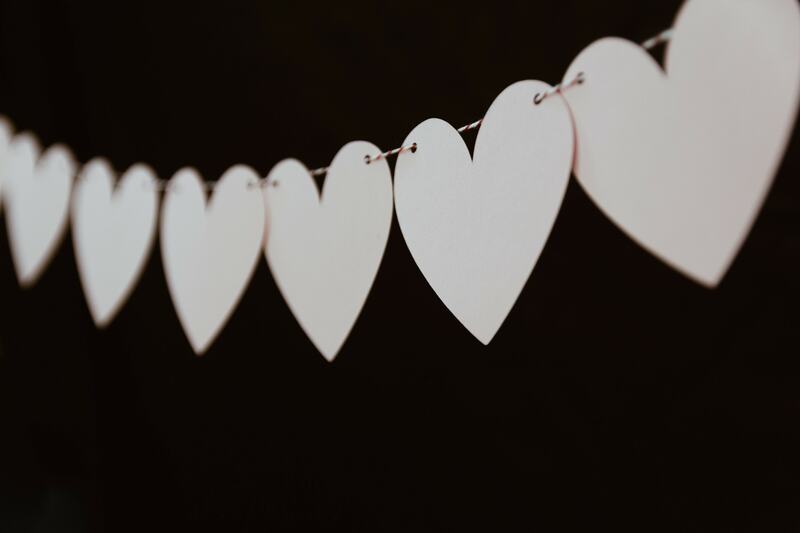 There’s no better way to spend the summer than hanging at the spa, and there’s no better time to learn the proper way to care for your body than when you’re young. To learn more or to sign your teen up, check out the event on Facebook. Do you switch up your beauty routine with the season? What are some steps or products that you add? We’d love to hear what you do to stay beautiful in the summer!